Buy Eleanor a Coffee. ko-fi.com/mxrshmallowqueen - Ko-fi ❤️ Where creators get paid by fans, with a 'Buy Me a Coffee' button. Hi everyone! 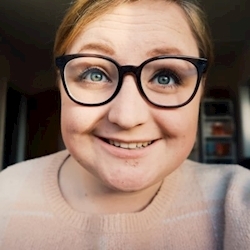 I'm Eleanor and I run a blog and YouTube channel. My blog is all about everything cute and lifestyle while my channel is full of daily vlogs. Any coffees bought would be used to improve my blog and YouTube channel as well as keeping me going through life. Secured Payments. Support goes to Eleanor's account. Upgrade Eleanor to a yearly Gold Membership with a one-time payment.